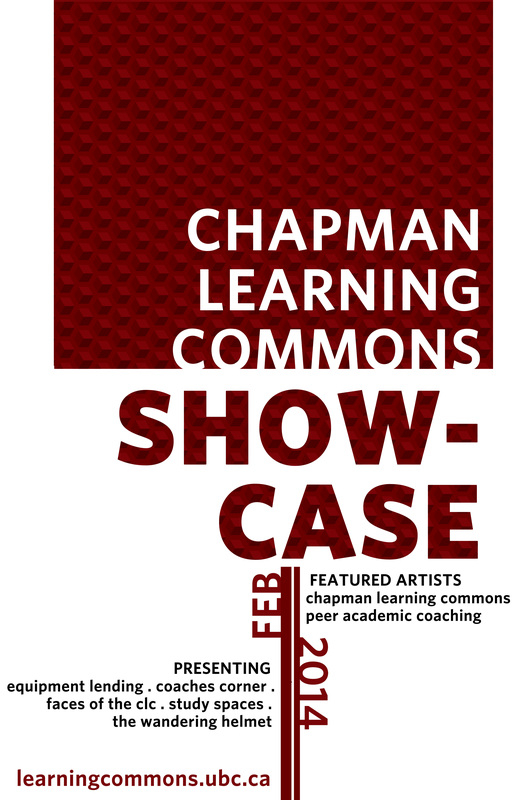 The Chapman Learning Commons and the Irving K. Barber Learning Centre presents a Show-Case created by the CLC Assistants. 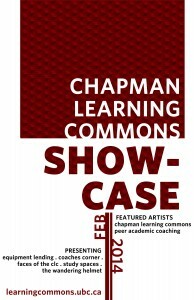 The CLCAs share original artwork capturing the nuances of Chapman Learning Commons lending equipment, campus study spaces, mascot, and projects. Including a collaboration with the Coaches Corner, the display showcases peer academic coaching where you can get inside scoop on best study and student practices. Highlighting just some of the services available to the UBC community, each display case features how the Chapman Learning Commons can help you with your academic success. Come to the IKBLC Level 3 Information Desk to learn more about the display and meet the artists, the Chapman Learning Commons Assistants!